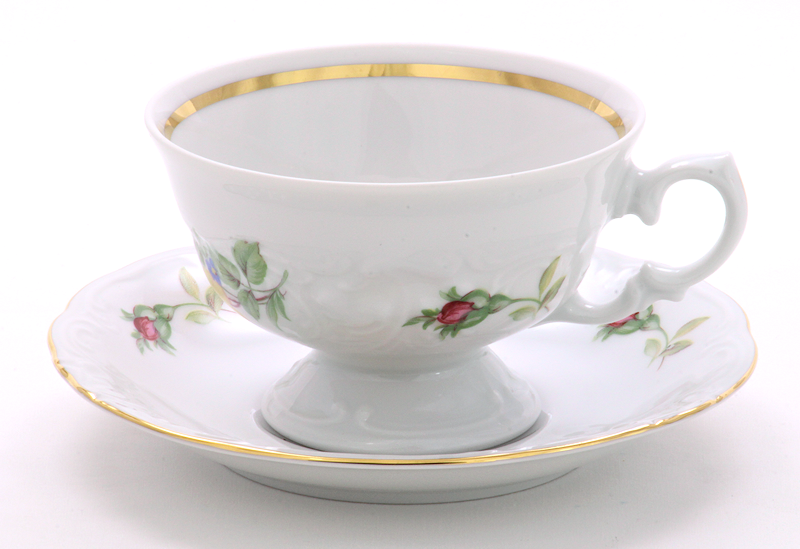 17-piece fine china tea set made in Poland by Wawel. This beautifully embossed Victorian style tea service for four is an impressive way to serve tea to your guests. 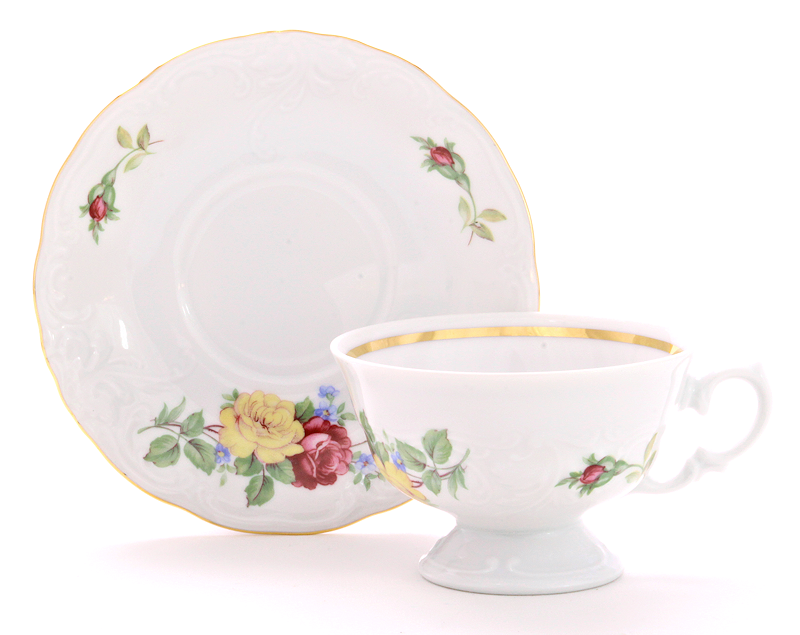 This high quality tea set features the Rose Bouquet pattern and includes four 7-oz. teacups and saucers, four dessert plates, 5-cup teapot, creamer and covered sugar. All pieces are hand-painted with gold trim. 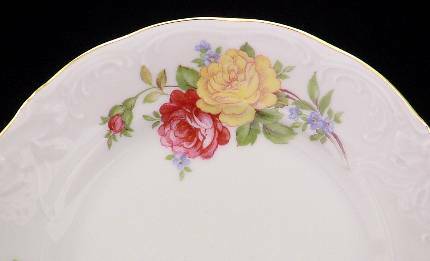 Additional pieces are available in our china department.